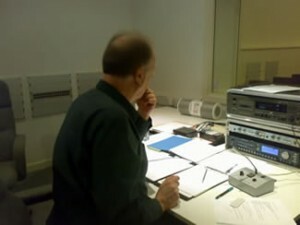 In April 2014 Leslie Craven recorded a number of Roma Cafolla’s works. He was joined by violinist Lana Trotovšek, pianist Yoko Misumi, harpist Katherine Thomas, bodhrán player Patrick King and flautist Boris Bizjak, who also recorded and engineered the sessions at Wyastone Studios on Hedone Records. The result was a 2CD set. 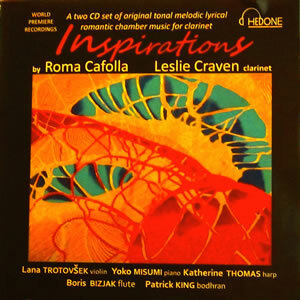 Roma Cafolla ….was inspired by LC to write several works for clarinet and other combinations of instruments………… blossomed her love for the clarinet, and the result is now before me in the form of this double CD. If I had to choose one word to extol the CD I would choose lyrical. The music Cafolla writes is extremely melodic and expressive. Her Irish background can be recognised in some of the Celtic melodies. 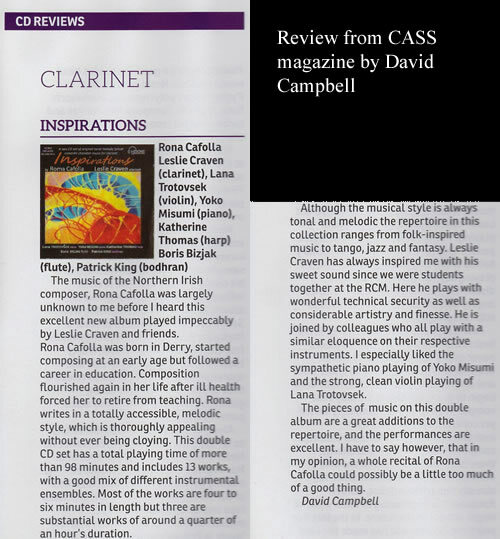 Many of the works included on the CD were originally written for clarinet and piano or clarinet but have been arranged by Cafolla herself to include the other musicians who have also been given a role. 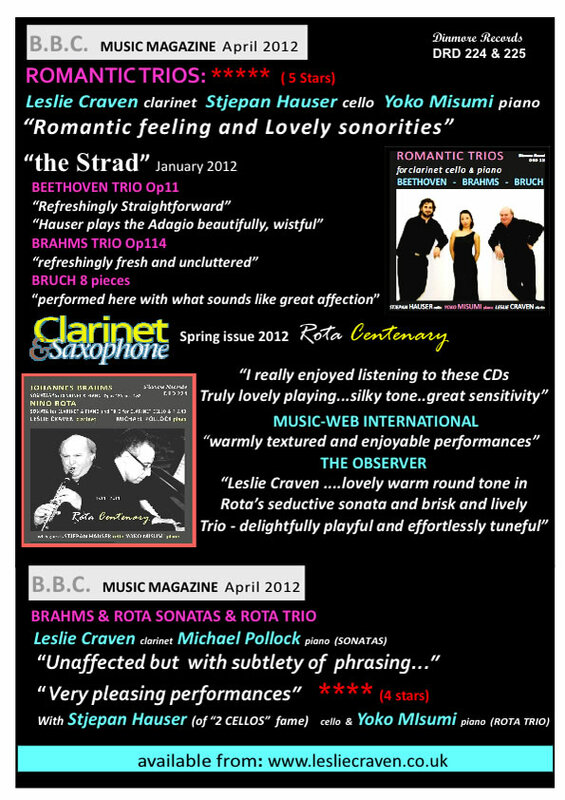 On the CD the standard format is clarinet and piano, sometimes supplemented by flute or violin, harp and bodhran. The CD opens beautifully. The perfect start to the day. Warm full sound, relaxed and everything is still open. Leaving lots of scope for the rest of the CD to open up. A beautifully chosen first work for the CD. It’s Canzone for Clarinet and Piano. A work in which Craven’s strong character, without forcing his tone and in a relaxed way can be heard. It is that, combined with the music of Cafolla, its lyrical melodies, that makes it very pleasant to listen to. In other works, it is at times less lyrical and dreamy, but because Craven makes a round tone, it never sounds sharp or ugly. 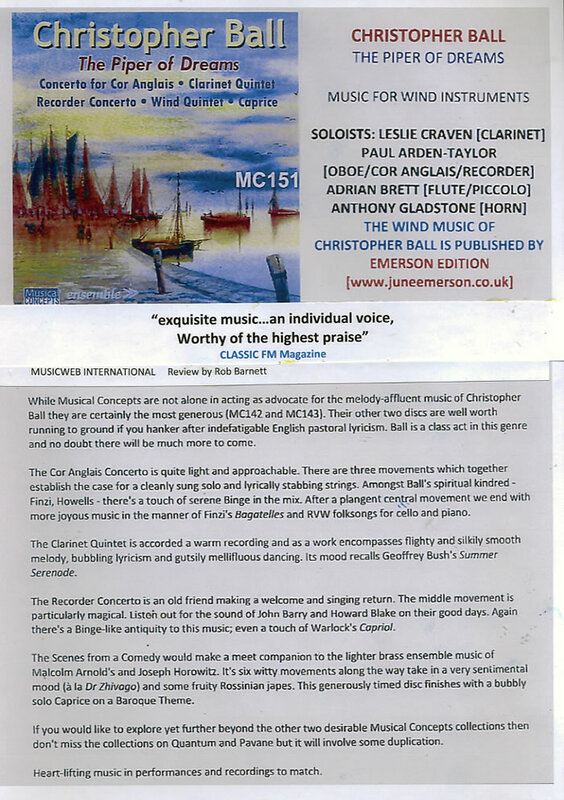 What one hears is Craven has a fantastic feeling for the music, the phrasing and the layers that are in it and this comes from knowing the composer. Never rushed and always with controlled timing. No piece is too long. The last piece on the first CD is a little light relief after all the lyrical pieces so far. ( Ambidexterity aside) It is different in character and therefore fits well on the first CD. Of the second CD the Coastal Suite jumps out for me. This suite is written for clarinet and harp with the fourth with addition of flute. In this next-to-last movement of this suite we hear the flautist Boris Bizjak. 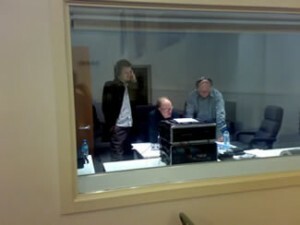 This part has been specially adapted for this CD to enable Bizjak to play on the CD. I imagined myself on the beach with a warm and relaxing holiday feeling. In the booklet that accompanies the CD we find that Cafolla had written the suite after a visit to the Inishowen peninsular in Donegal. She was inspired by the vista looking out at the confluence of the River Foyle and the Atlantic Ocean. The second CD closes with a Gig Saw for Clarinet violin …………. etc . It begins with a whistful melody between the beautiful sounds of clarinet and harp slowly leads to a lively Irish Jig and through different characters, Gig Saw ends finally with the bodhran. And a beautiful finale! A number works on this CD are very good pieces that would be playable by and suitable for amateur players. 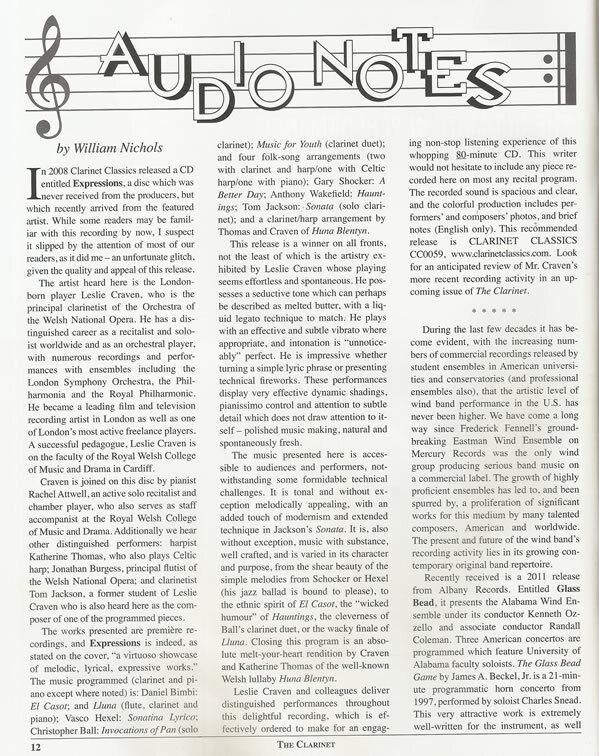 For example, the Canzone, the opening work is good Useful as material for a clarinettist C – D – level. 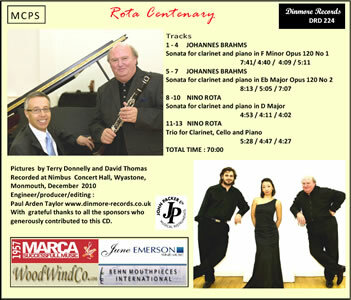 For those who are not yet familiar with the clarinet repertoire of Nino Rota: get this CD in the house! 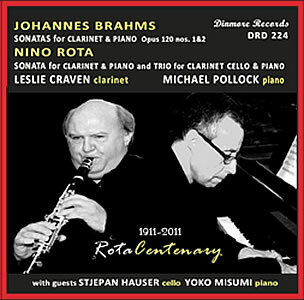 I played Rota’s Sonata (1945) for clarinet and piano a few years ago, during my final exam UM. Known for his film scores; the music from the Godfather has become world famous of course but at the time this clarinet Sonata was not known to me. 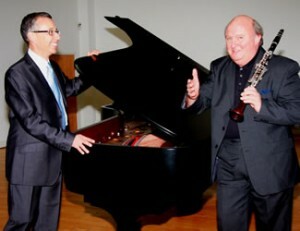 The piece grabbed me directly while I played it: the beautiful lyrical sounds, colours, melody lines. It took me back to that time, on hearing of this version, played by Leslie of Craven and Michael Pollock. I think they play it exactly as it should be: the first part is very cantabile, romantic and with flowing lines. The second part as it is written: pensive, mysterious, with a focus on the lowest register of the clarinet with his dark, deep sounds. But then the last part: very fast and with virtuoso passages, a grand finale! 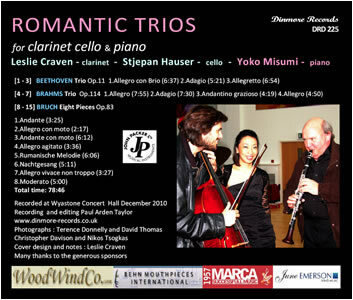 The Trio for clarinet, cello and piano was written in 1973. While listening I get direct film associations. The music of the first part is light, virtuoso, with clear recurring themes. A beautiful opening scene for a movie. The slow movement is laden with film melodrama : brilliant lines in all of the instruments, sometimes pensive, but always passionate, cantabile, con amore. We remain in the film world but the last movement has a completely different nature: short, melodic themes generated to fit a comedy or maybe a cartoon. 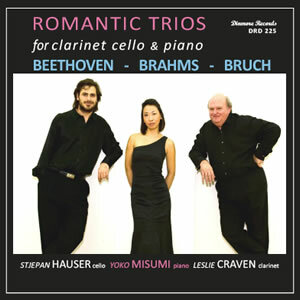 This trio is also beautifully performed by Leslie of Craven (clarinet), Stjepan Hauser (cello) and Yoko Misumi (piano). The music of Nino Rota is not all. The CD opens with the two Brahms Sonatas, which need no explanation. Brahms is the slightly heavier counterpart of the work of Nino Rota, but suits the CD project and they go very well together. 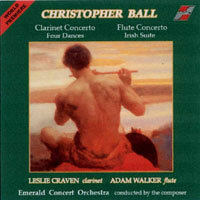 Personally, I am really fond of the clarinet playing of Leslie Craven and his interpretations of Brahms. Anyway, I recommend this CD full of masterpieces it is a must! 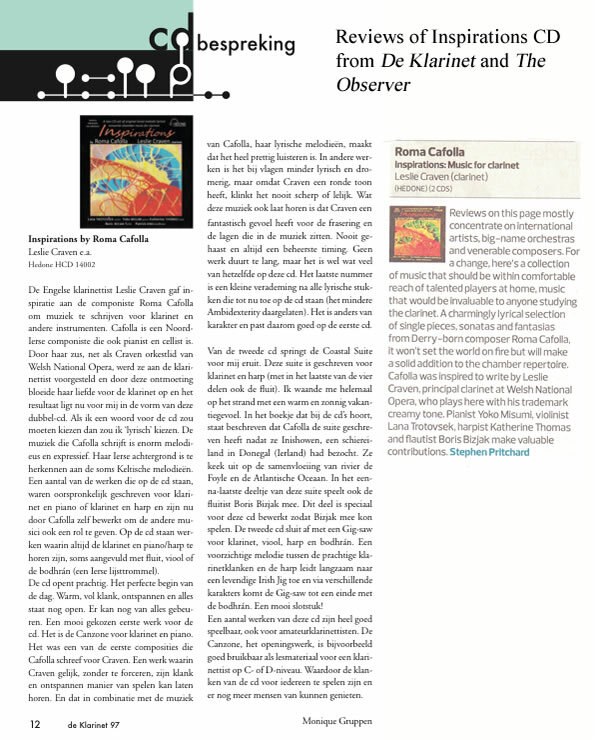 This extract from Paul Kaiser, a reviewer of the Dutch clarinet magazine De Klarinet. 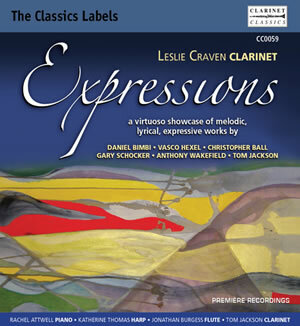 “Expressions is a CD of a variety of music for clarinet in several settings… the title Expressions is well conceived however because every piece is relaxing and has something to say …..every number is worth the effort of listening to…. Leslie Craven has a solid sound and although not a young man, one does not hear this in his playing. He sounds like a young virtuoso, a vigorous musician and plays the pieces enthusiastically, and expressively. His sound is warm and focused and his tone has feeling. ……….he plays on his own design mouthpiece, the `Leslie Craven model Mouthpiece `. The opening work El Casot by Daniel Bimbi describes romantic adventures in the style of Flamenco, Czardas and Klezmer. 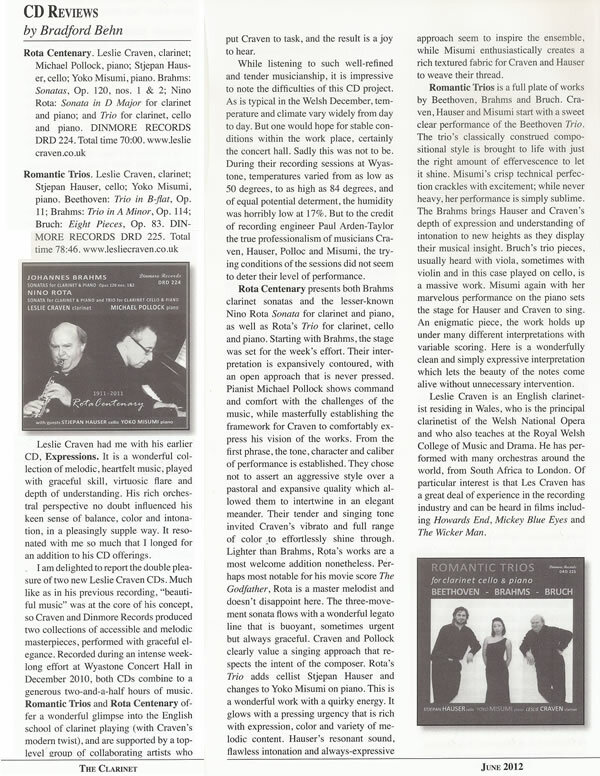 … One can hear that Bimbi is himself a clarinettist…. the music sounds very natural and lies comfortably for the instrument. of the English School of clarinet playing. diverse styles and moods captured will appeal to many different tastes. 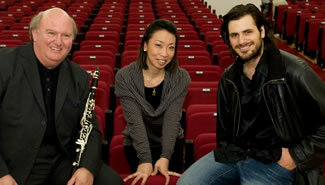 Thomas harp, Tom Jackson clarinet and flautist Jonathan Burgess. tone trills, the “growl” and “flutter tonguing”. and with a smile on their faces. end to a really eclectic mix of music. appeal to those new to clarinet music as well as the Clarinet “Gourmand”. 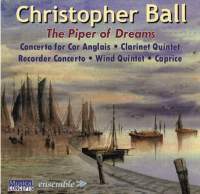 This disc, including the world première recording of Christopher Ball’s new Clarinet Quintet, was released in June 2014.